Medium Project 7-1, Bathroom Remodel » Roger Perron Inc. 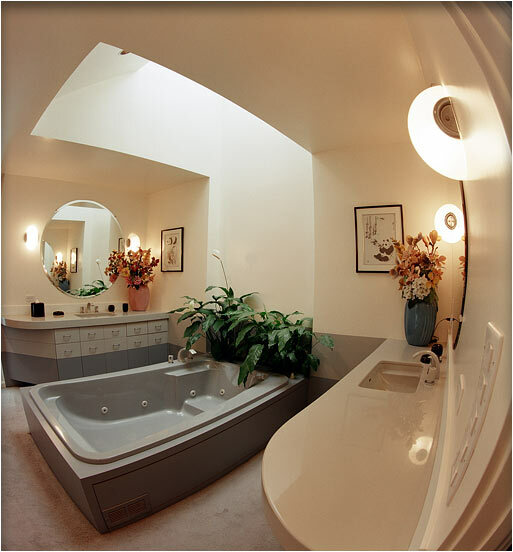 Here is a very unique bathroom remodel in a contemporary design. The paint colors are three and create a design theme. Each color wraps the room and connects exactly to the other side. The custom skylight provides great lighting. Architectural design of Bel Air home by Roger Perron, design-build contractor, assisted by Stan Morris, architectural graduate (one of my mentors).